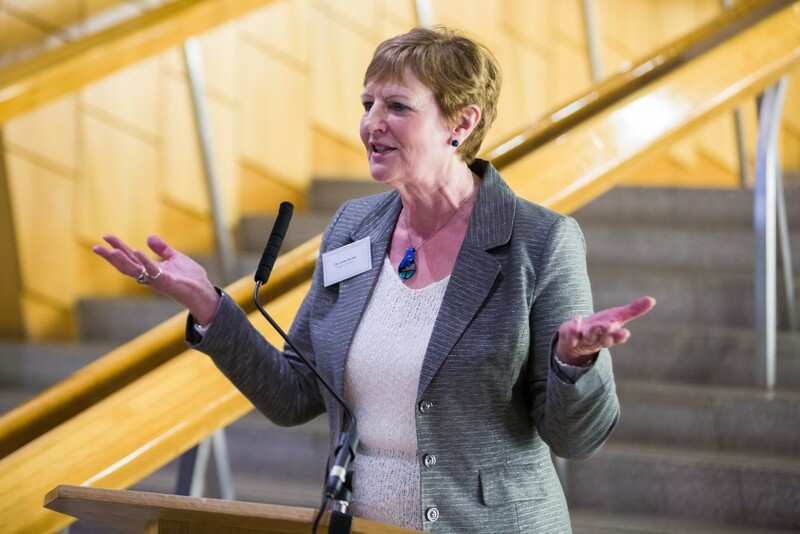 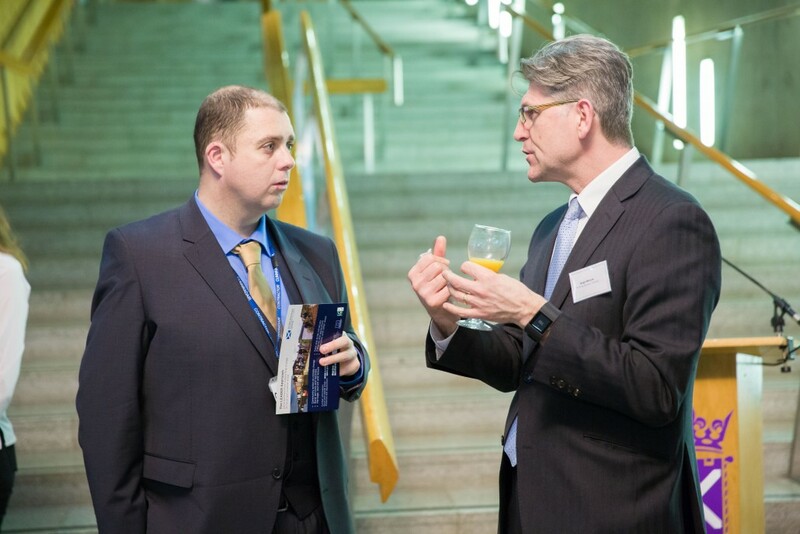 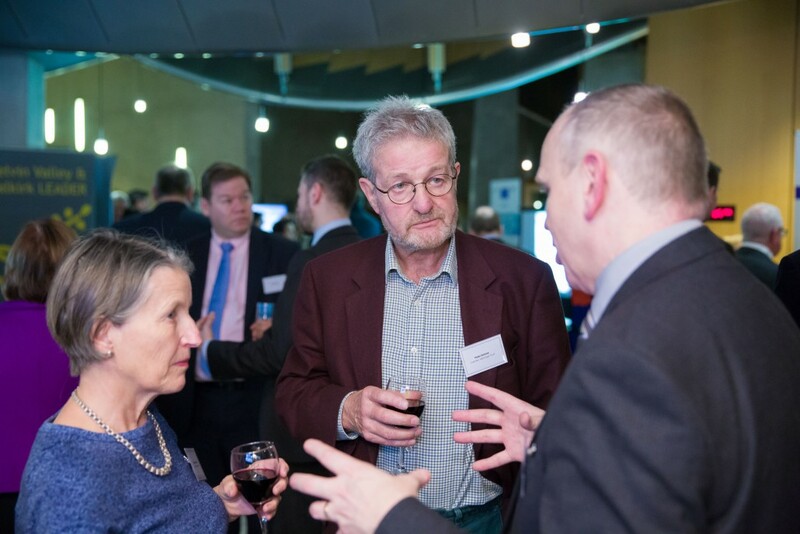 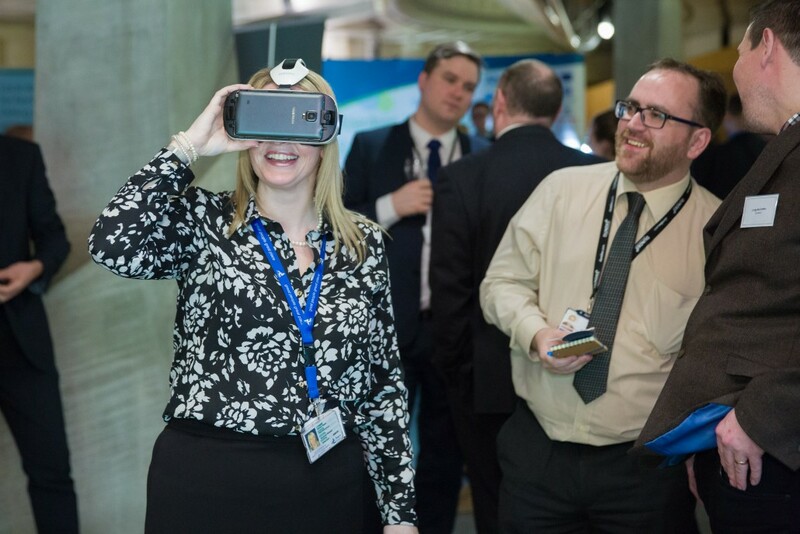 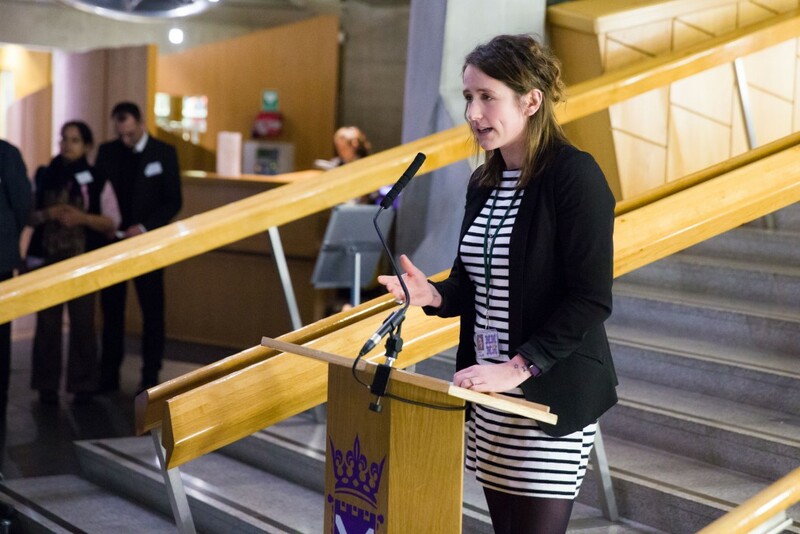 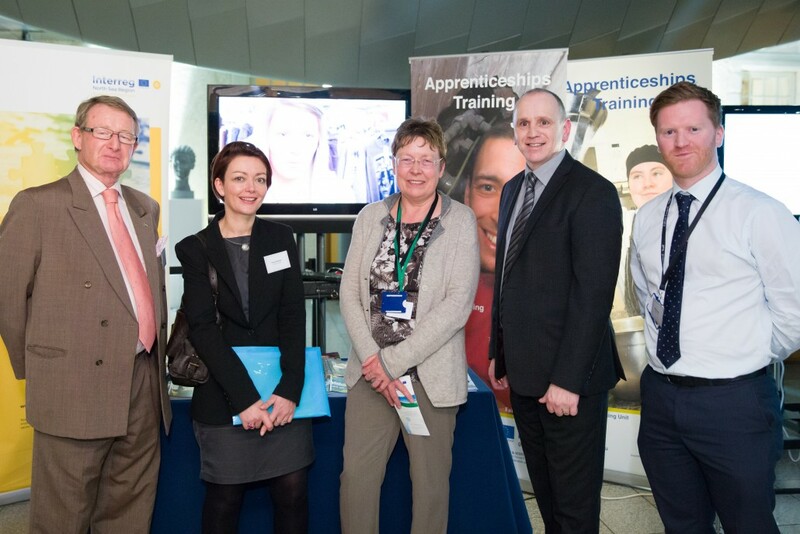 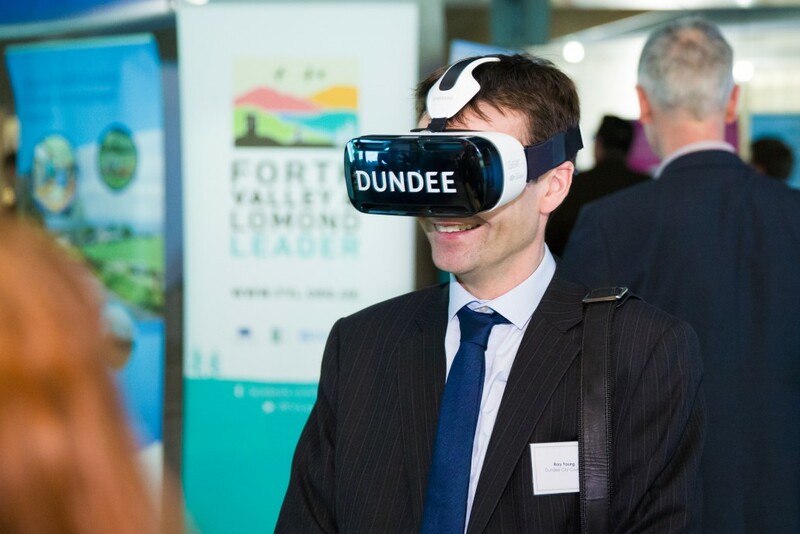 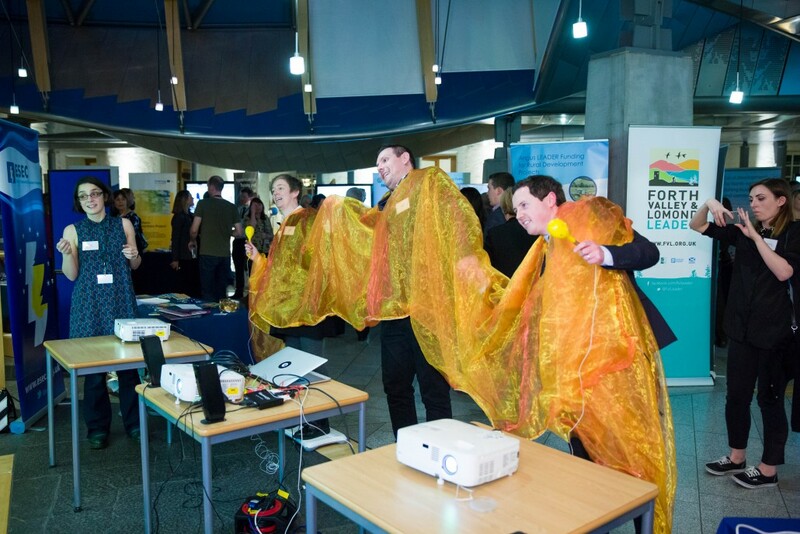 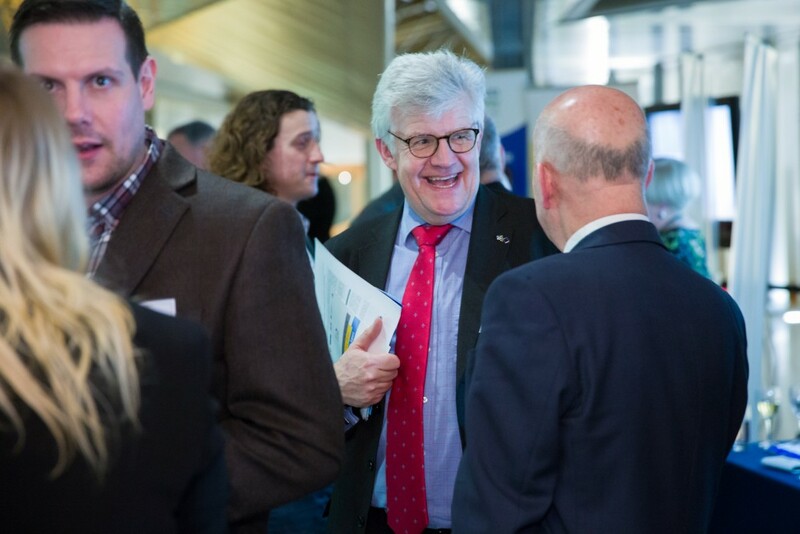 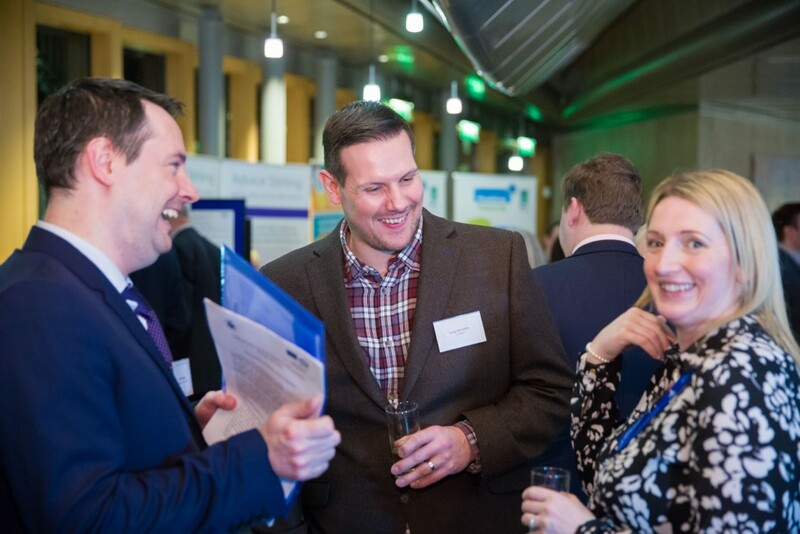 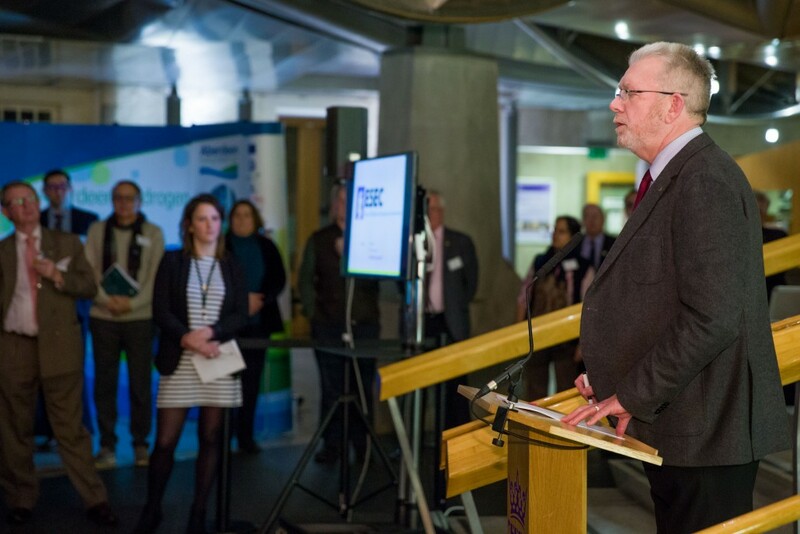 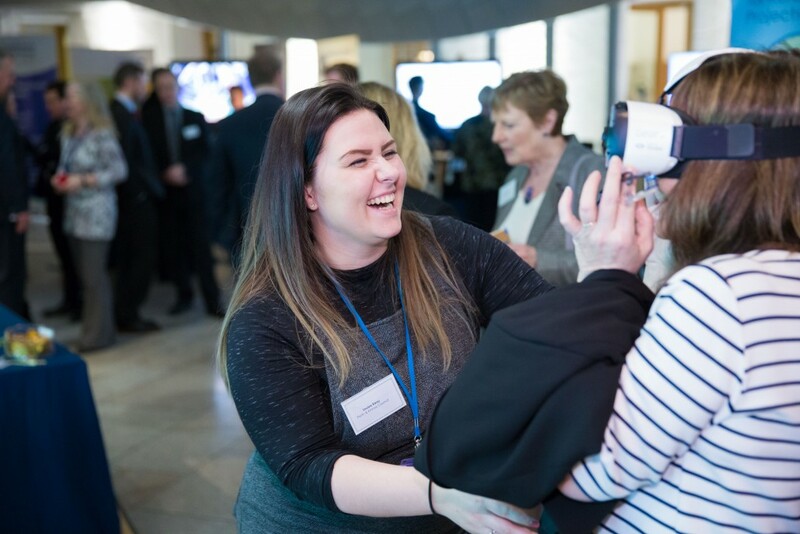 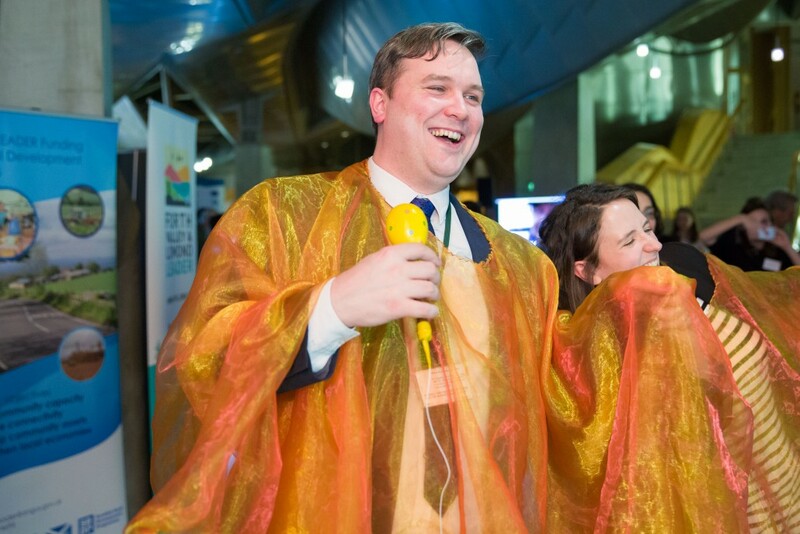 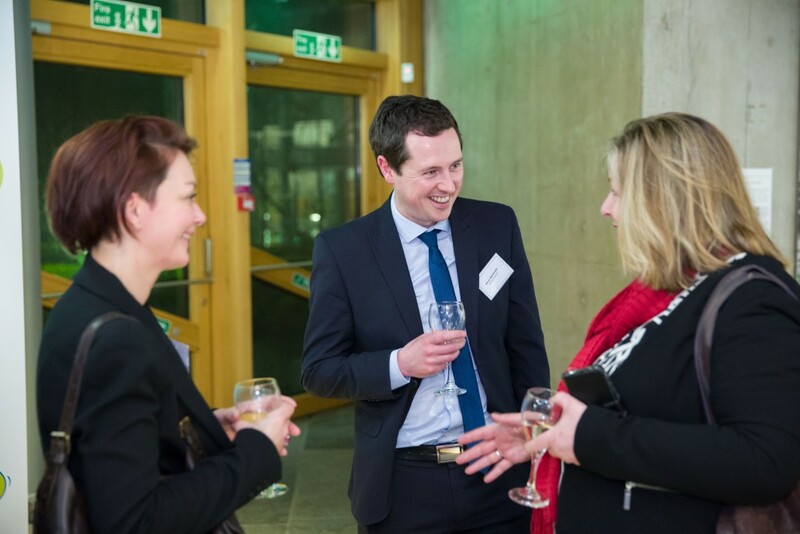 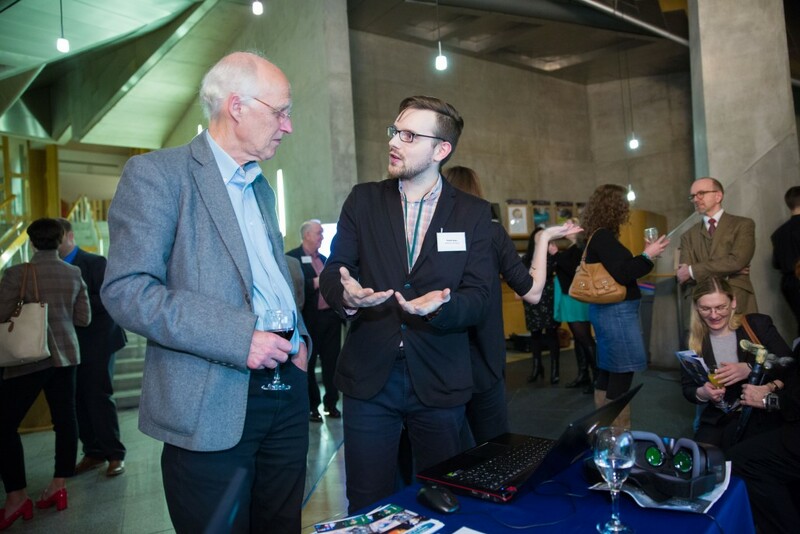 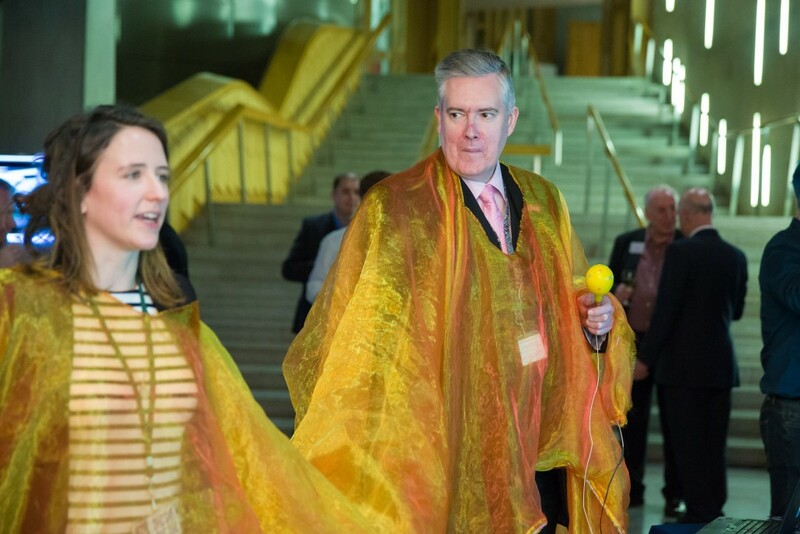 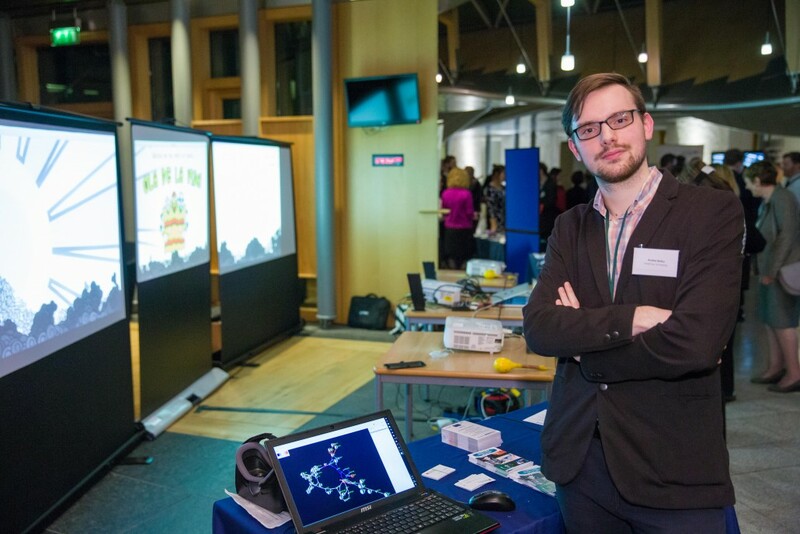 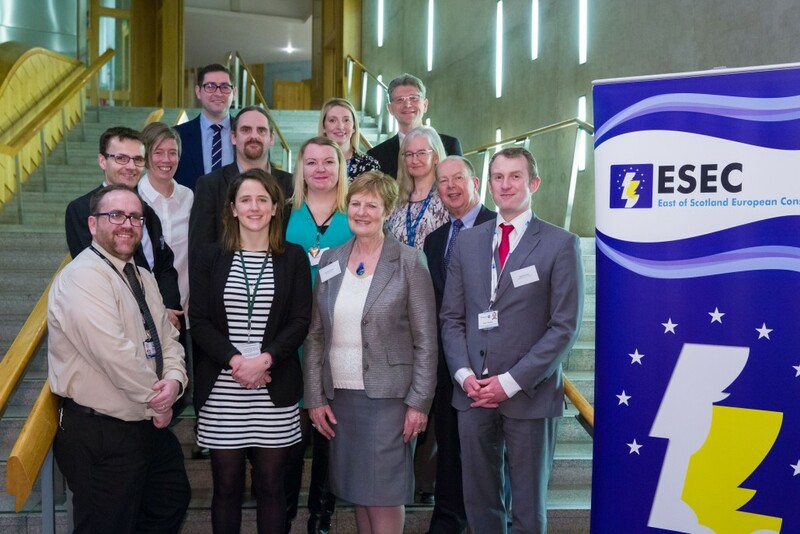 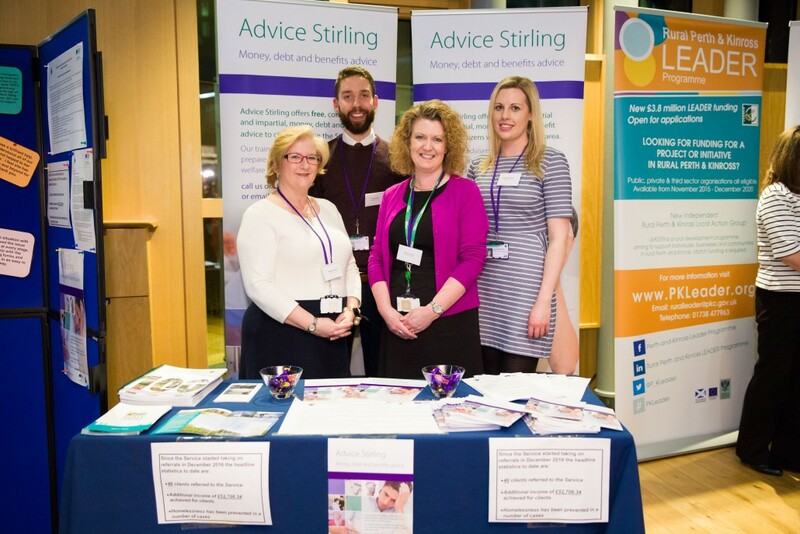 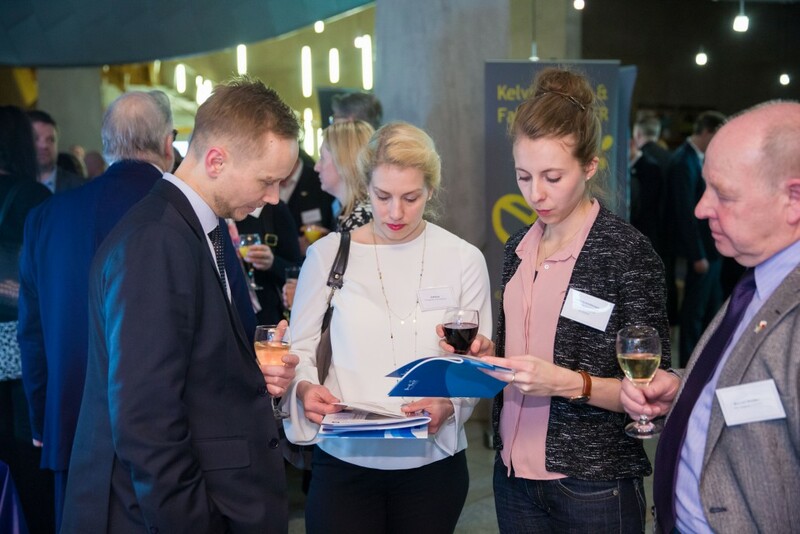 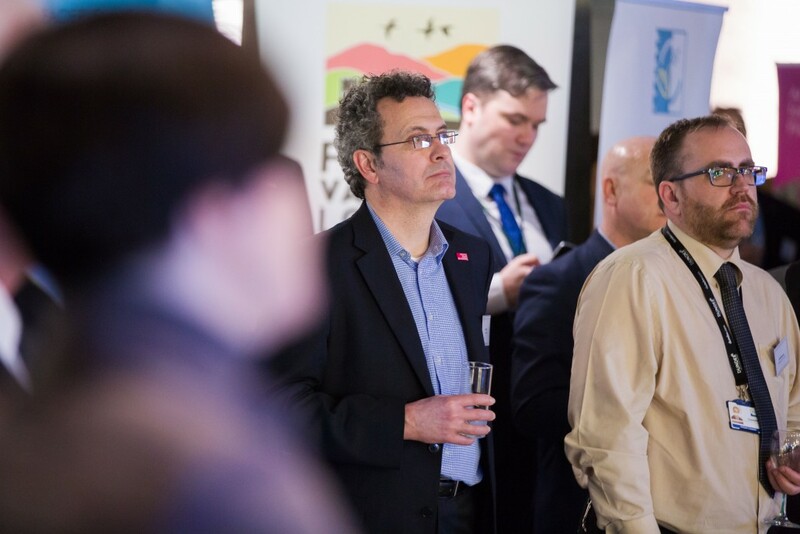 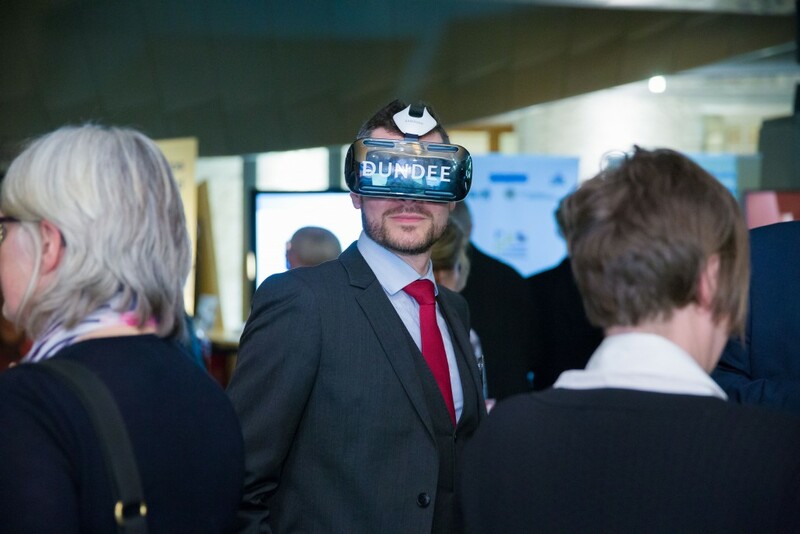 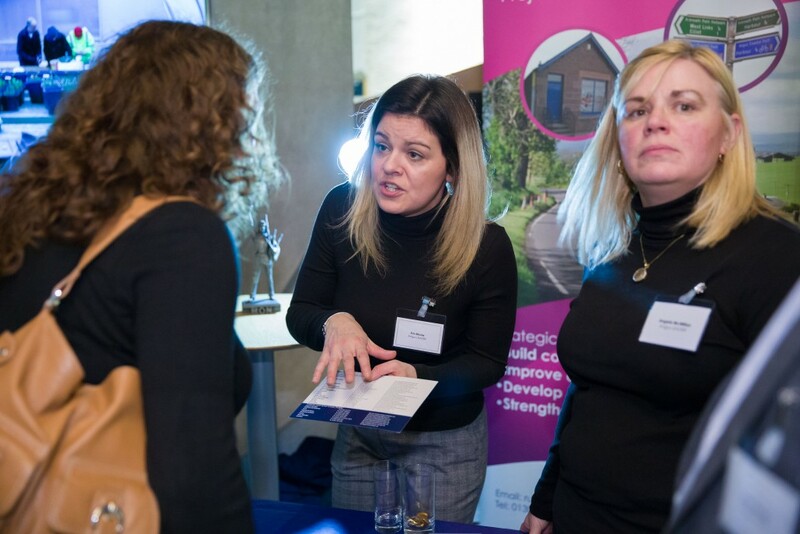 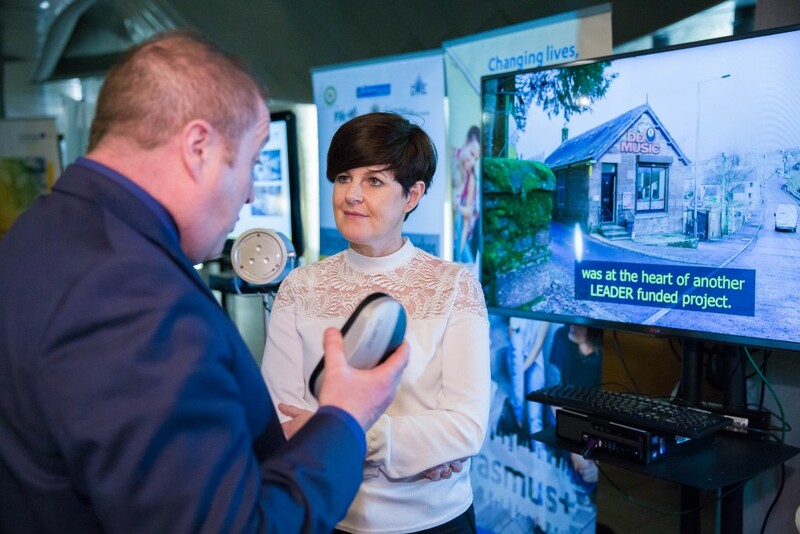 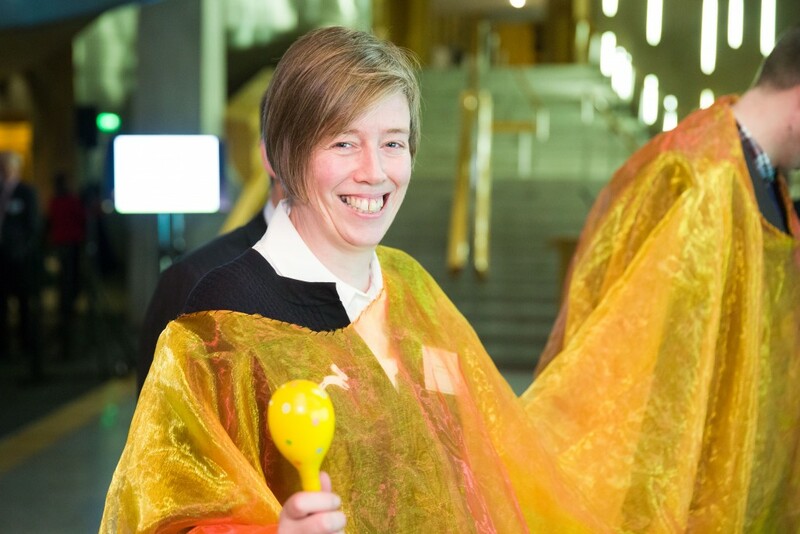 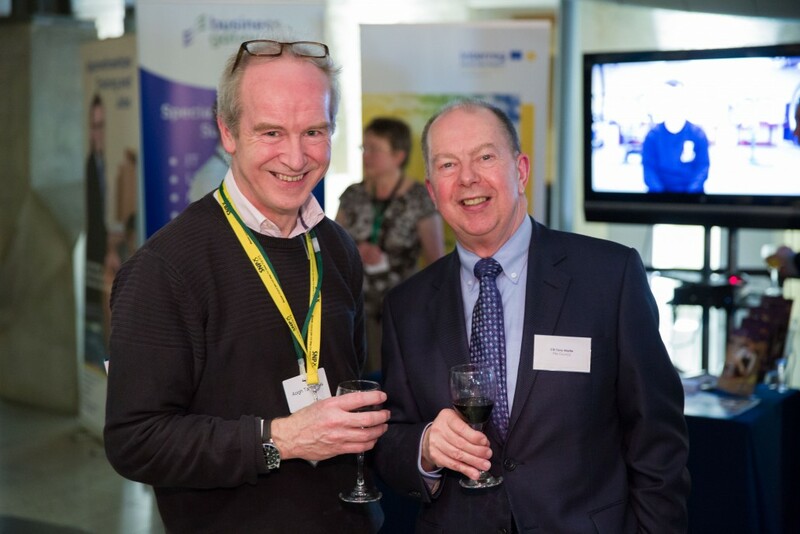 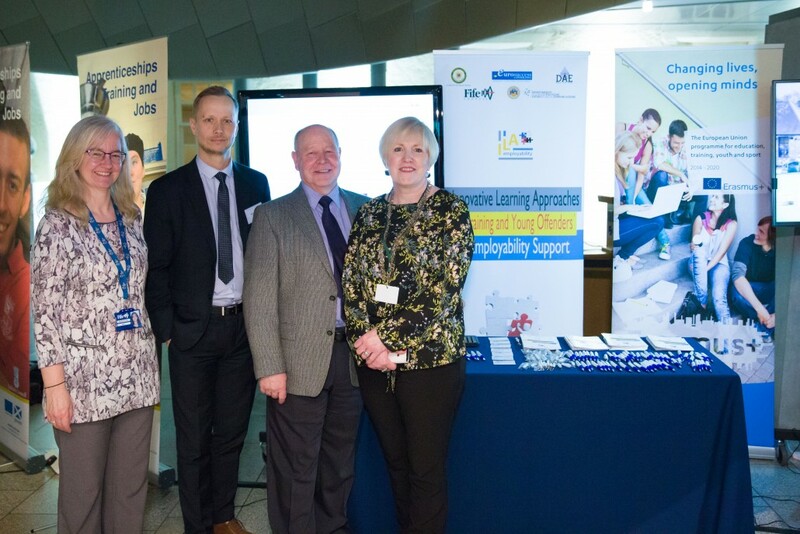 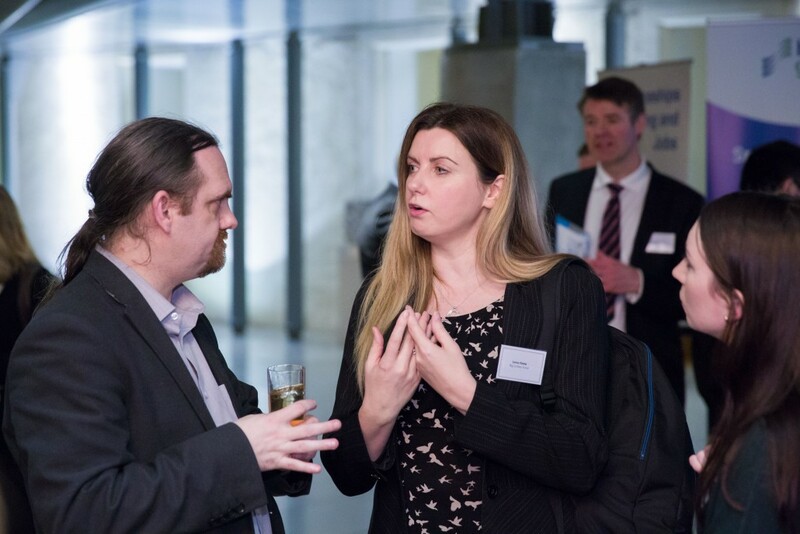 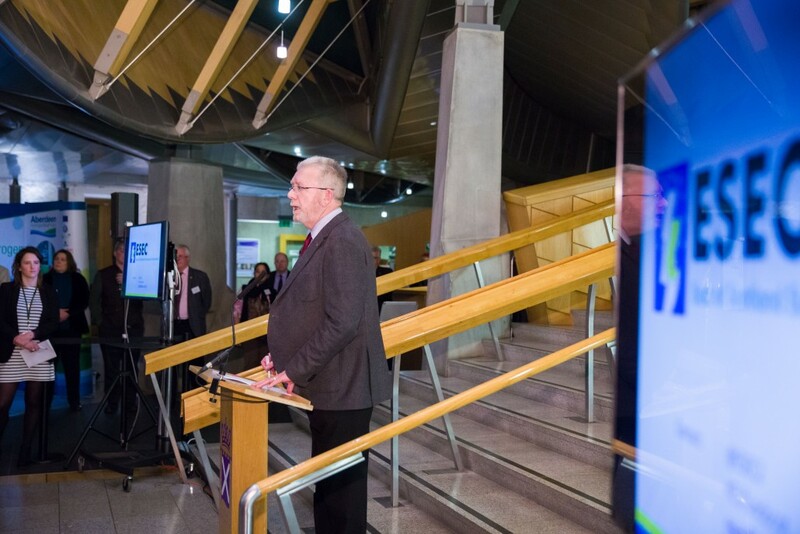 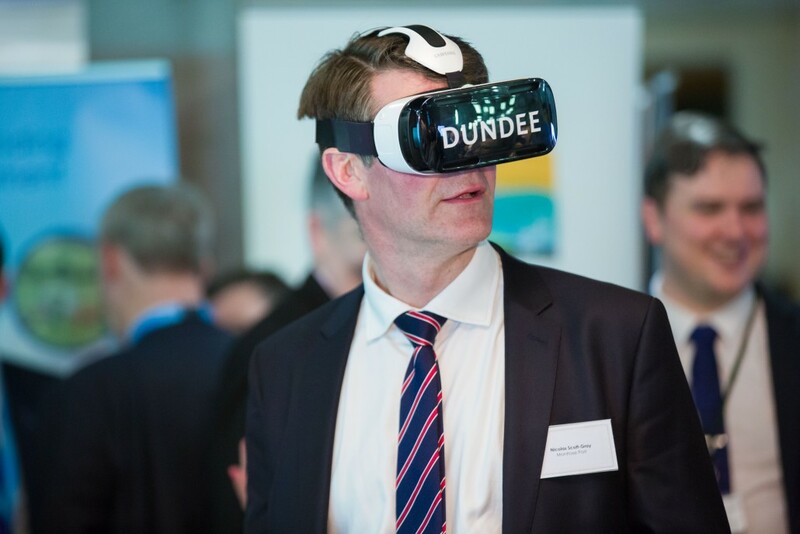 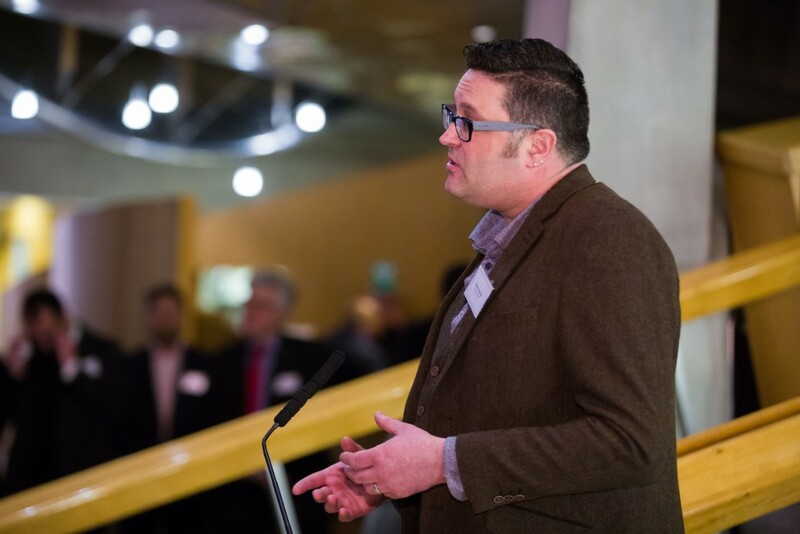 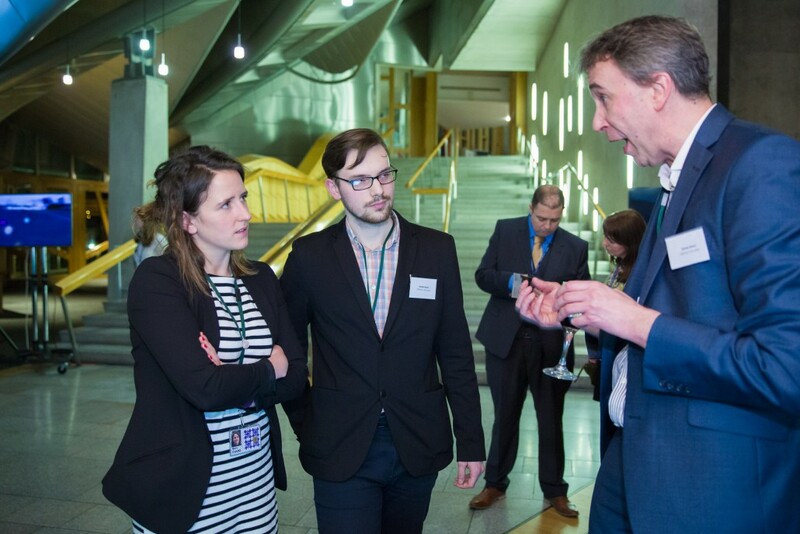 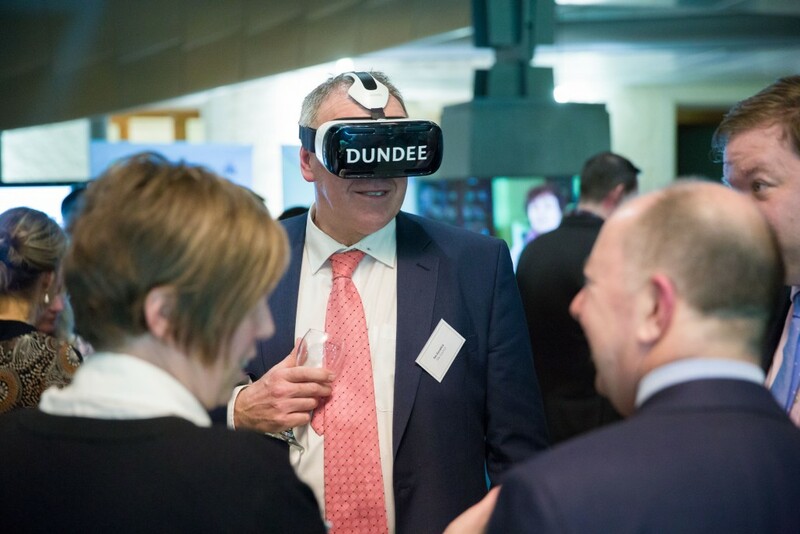 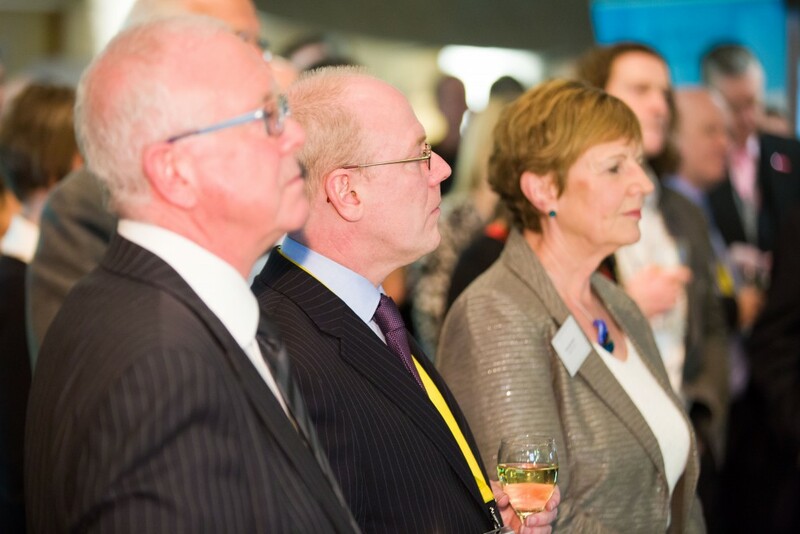 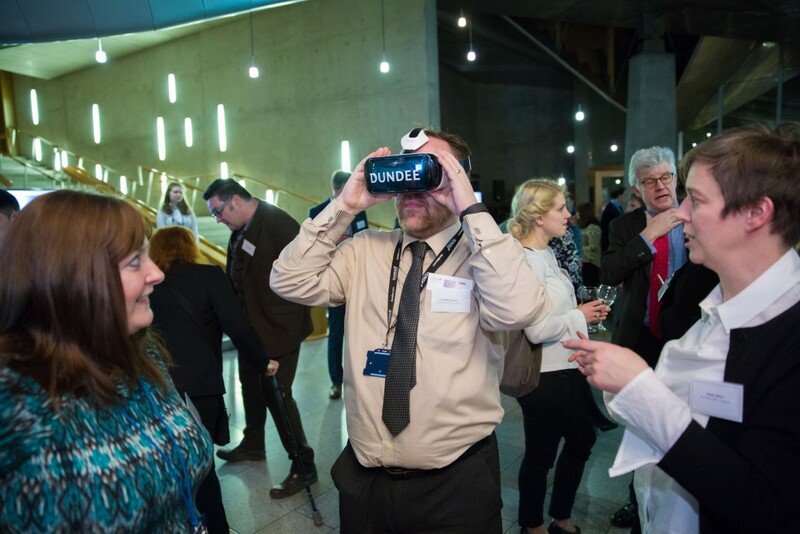 On 23rd February 2017, ESEC hosted an event in the Scottish Parliament to showcase the quality and diversity of EU funded projects supported by our member authorities in the East of Scotland. 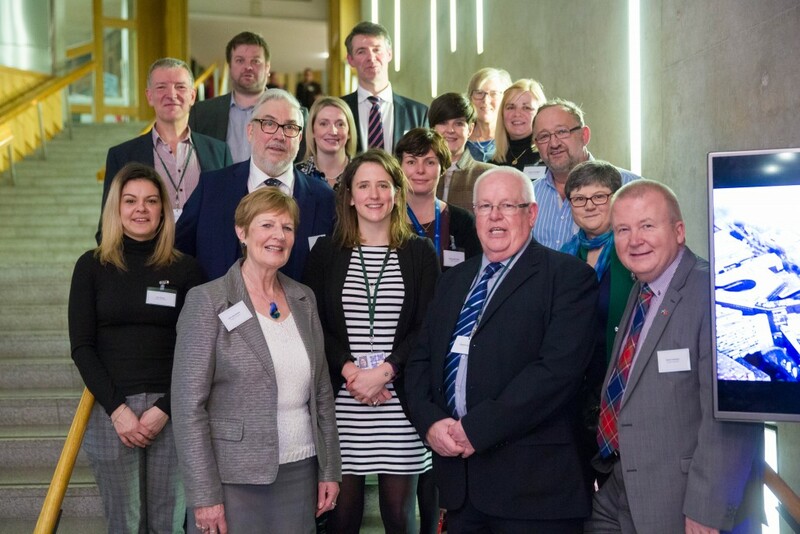 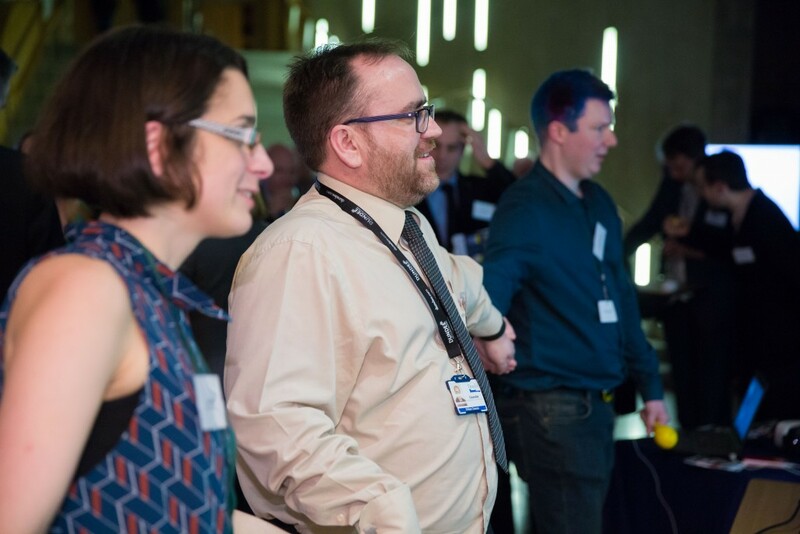 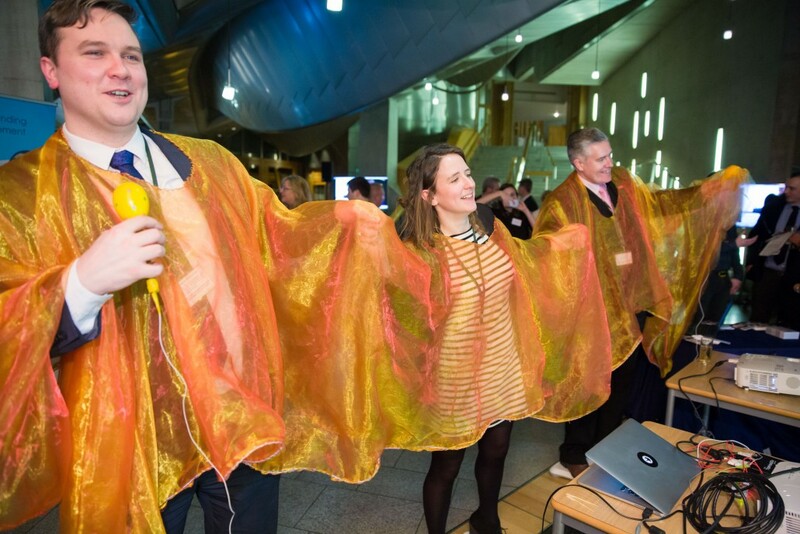 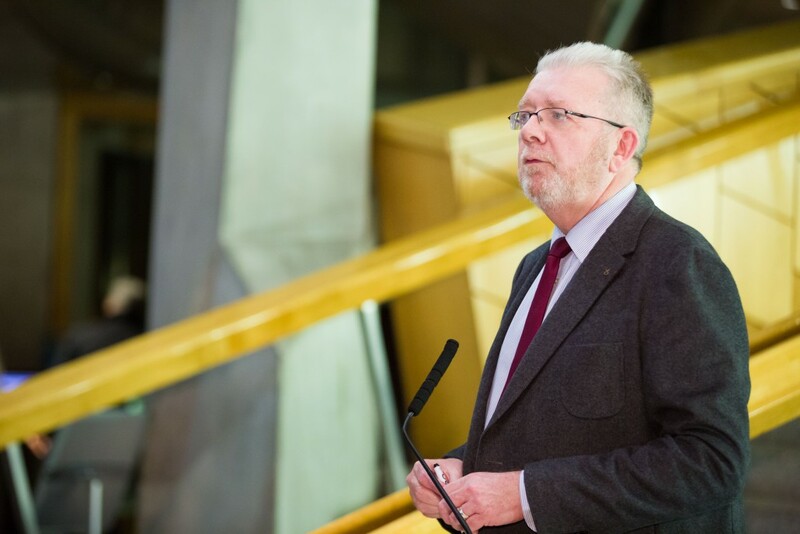 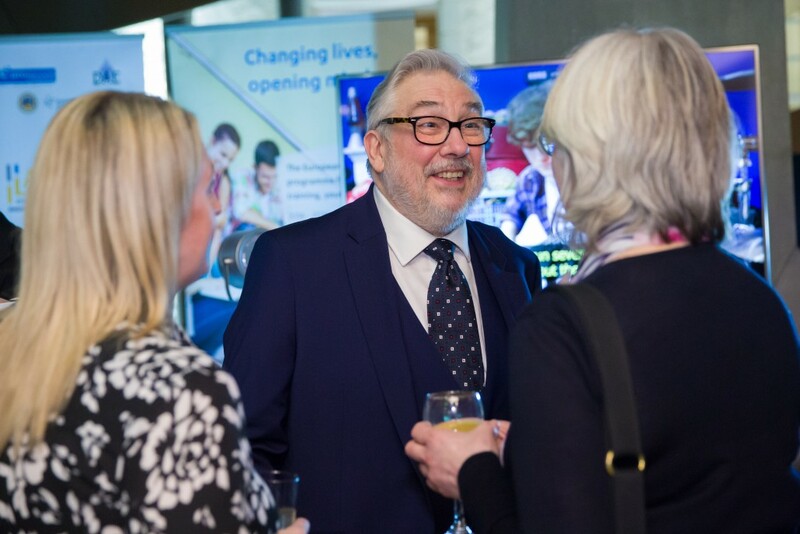 The evening featured a key note speech from Mike Russell MSP, the Minister for UK Negotiations on Scotland’s Place in Europe, Mairi Evans MSP, ESEC chair Councillor Lynne Devine and Graham Galloway, the Development Worker at DD8 Music. 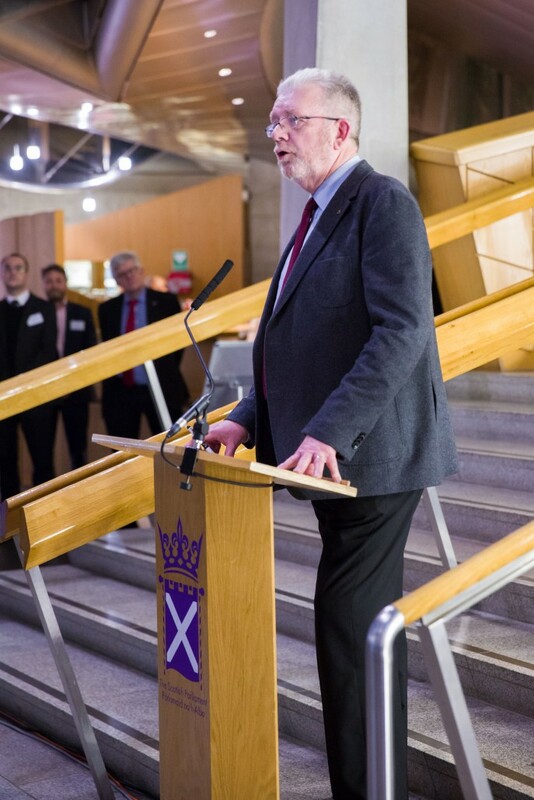 Mr Russell praised the projects on display and stressed that the EU is not an abstract concept or an accountants club. 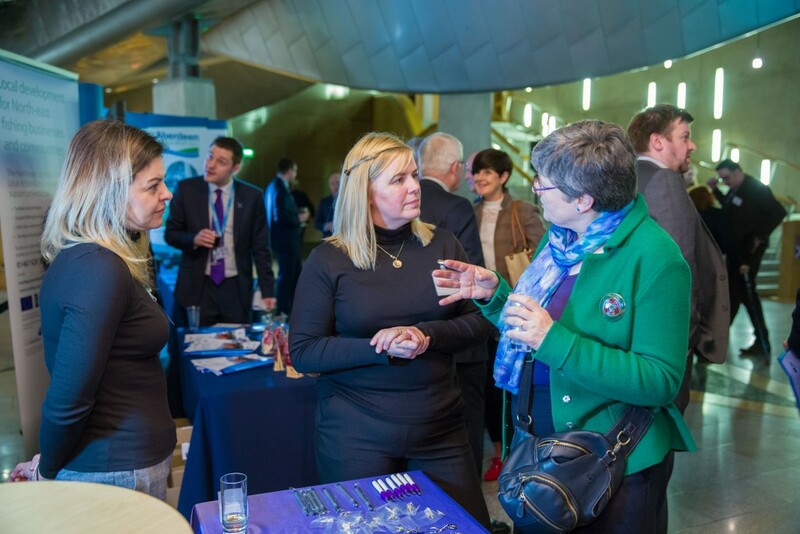 Over the years, EU investment via Structural Funds and other programmes have benefited communities at the grassroots level. 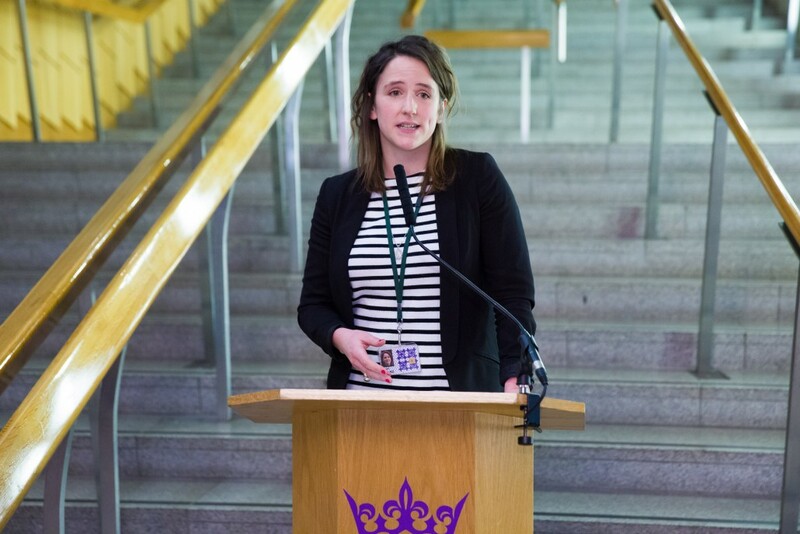 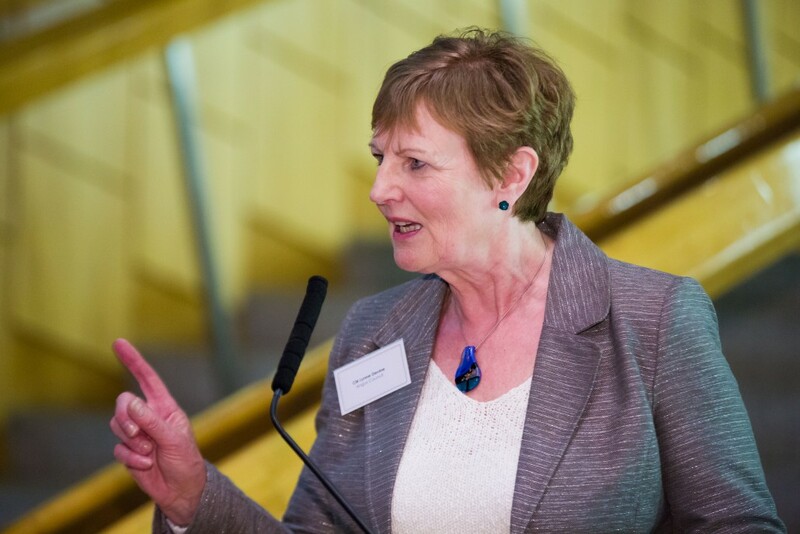 Mairi Evans MSP spoke about her time as ESEC chair and how it opened her eyes to the positive impacts of EU funding and the extent to which it underpins a lot of local authority services. 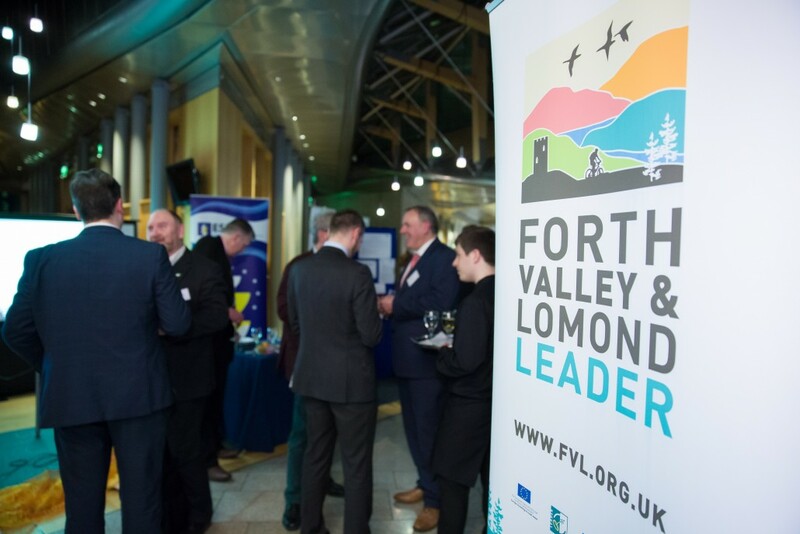 She said the event was a great opportunity to showcase the many investments at local level and to make the case for fair funding for our rural economy post-Brexit to best protect the interests of all of rural Scotland. 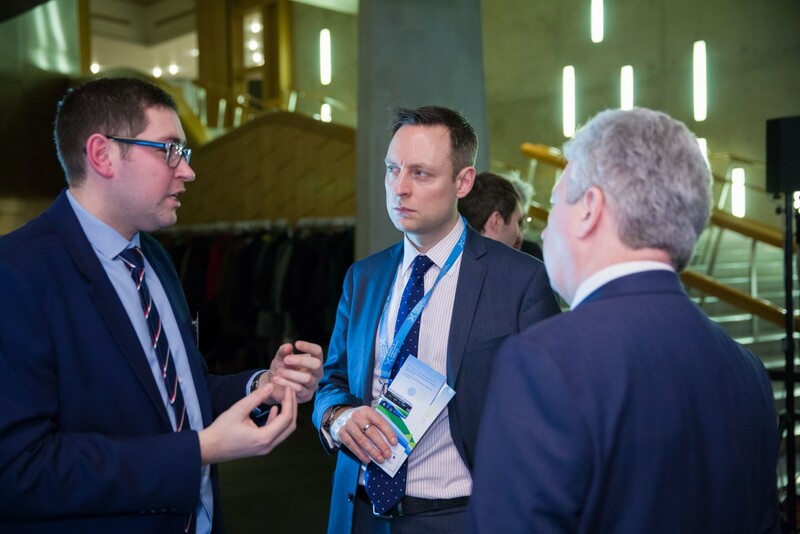 Councillor Devine said the event was a call on the UK and Scottish governments to recognise the value of such projects and to take them into consideration during Brexit negotiations. 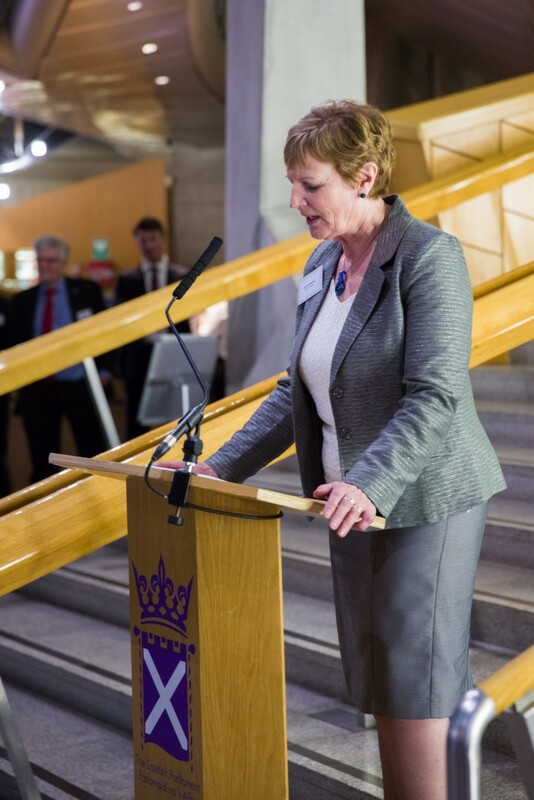 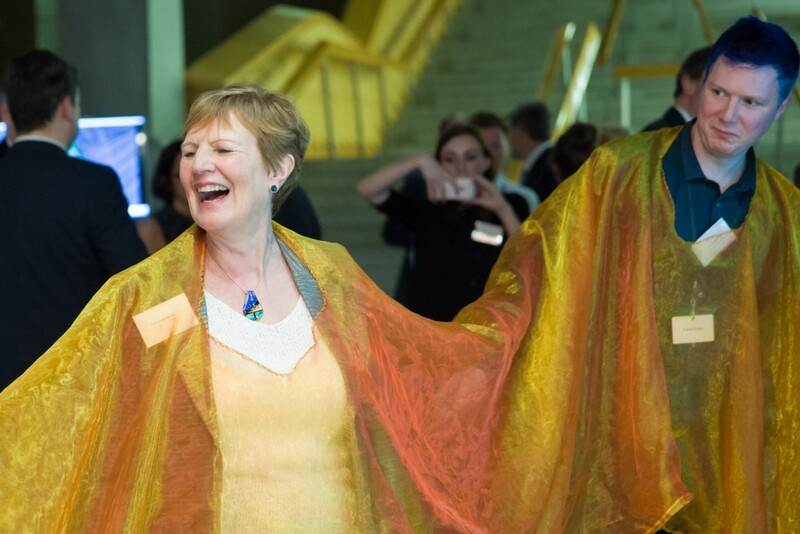 She urged councils and academic institutions to work together to raise awareness of their activities in these areas. 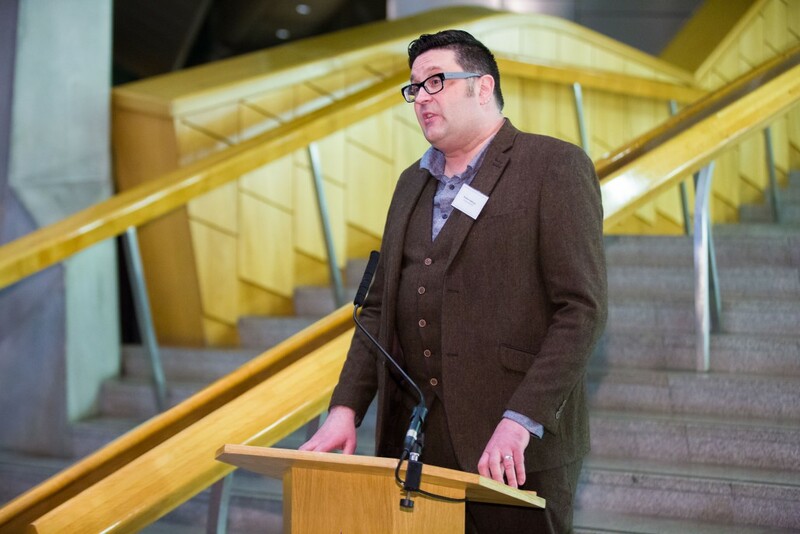 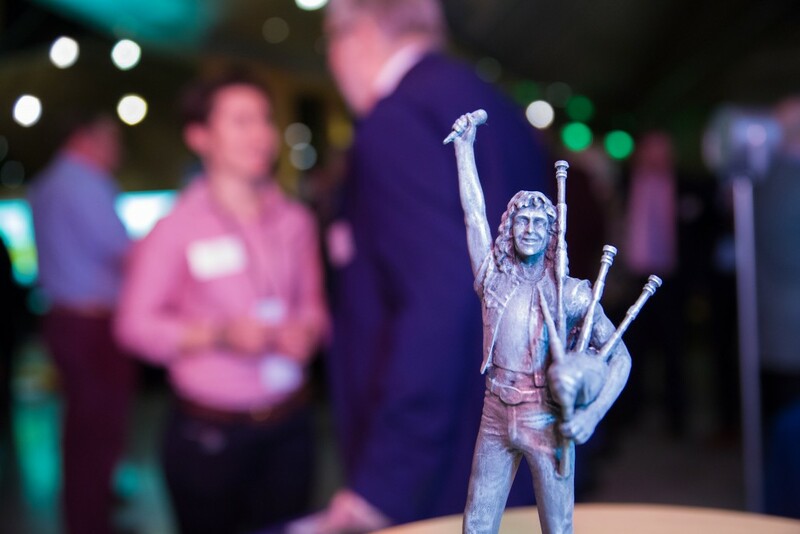 Graham Galloway spoke about the LEADER grant DD8 received which kick-started the growth of the community music group, and which has since gone on to hold an annual AC/DC tribute music group, and also successfully crowdfunded a statue of former AC/DC singer Bon Scott. 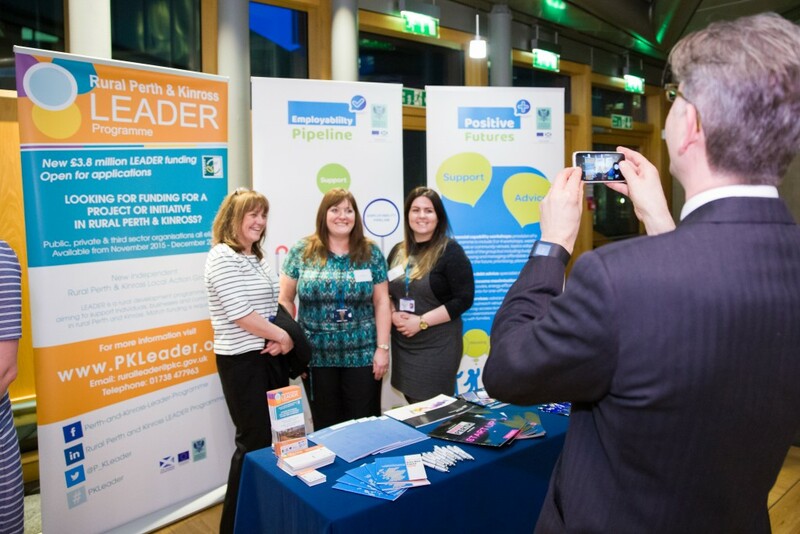 The group continues to engage with EU funds via Erasmus+ and LEADER. 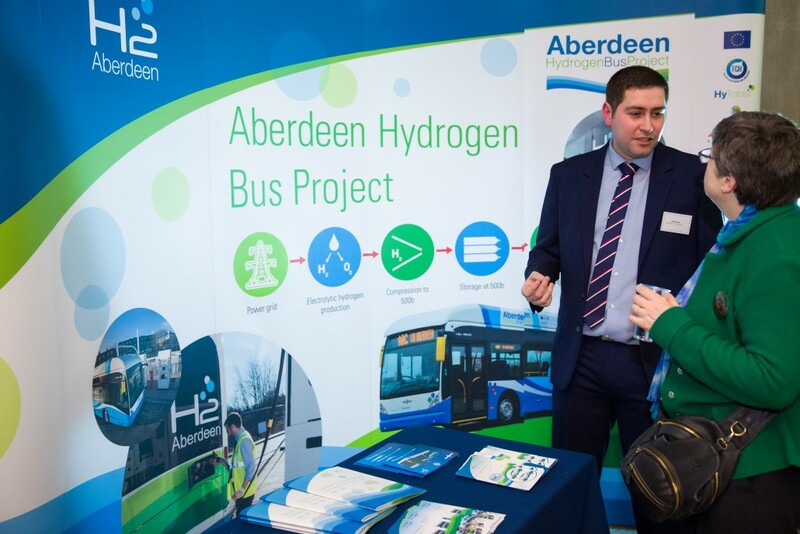 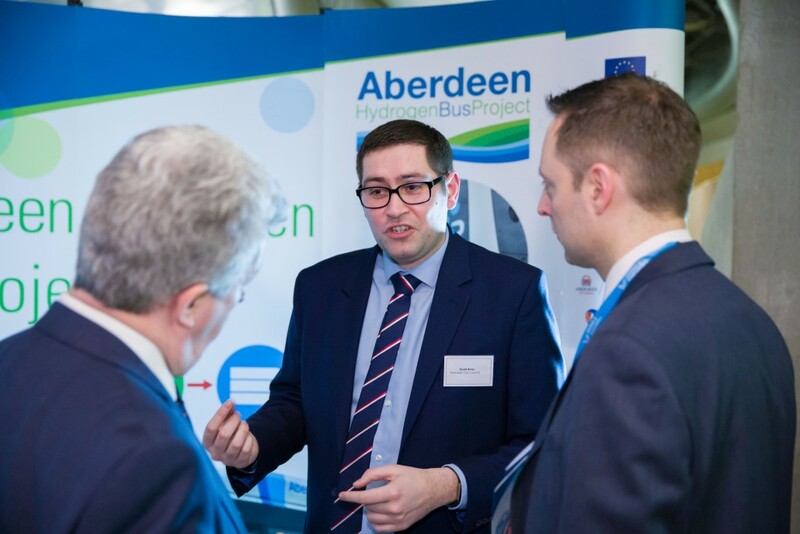 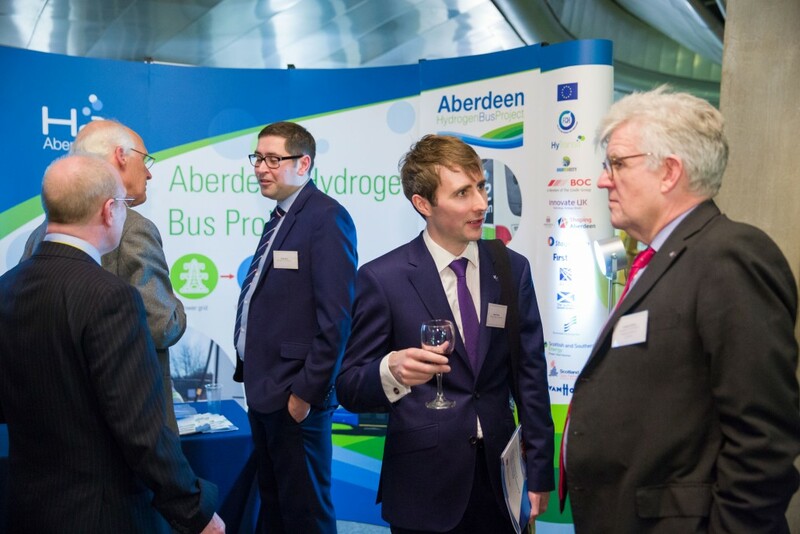 Aberdeen City Council: The Hydrogen Transport Economy – advancing the adoption of hydrogen as an alternative energy vector across the North Sea Region. 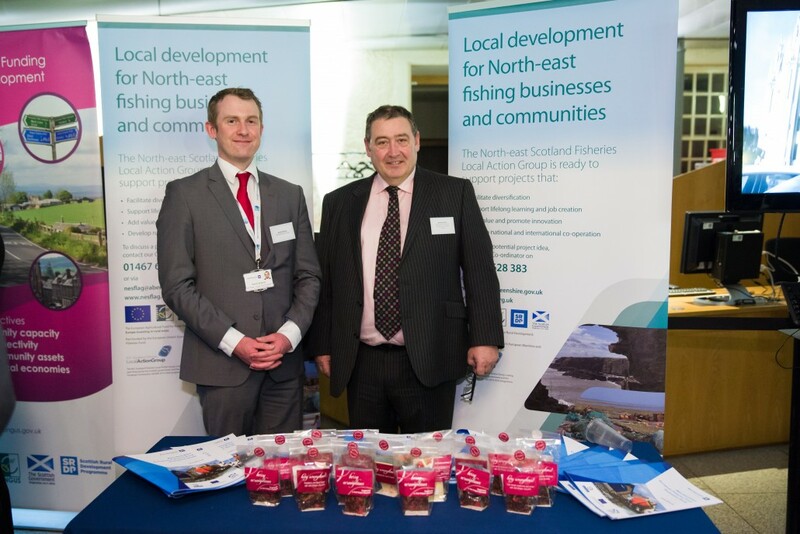 Aberdeenshire Council: Supporting the sustainable development of coastal communities via European fisheries funding. 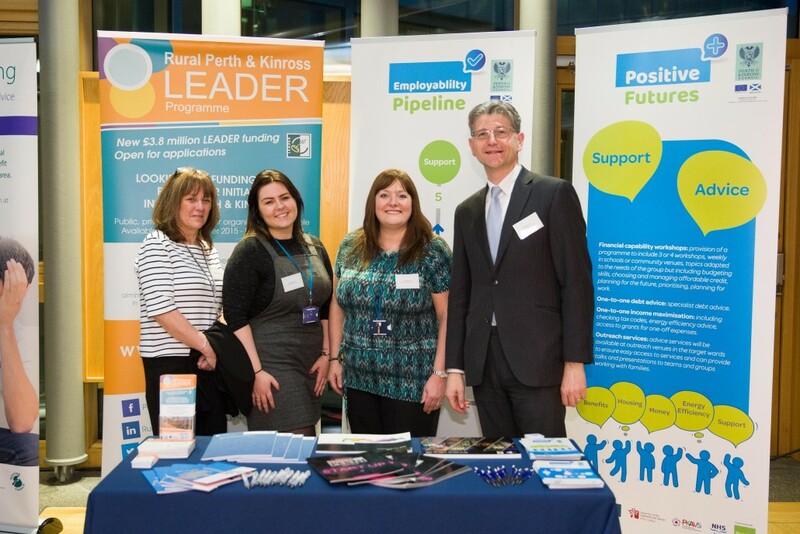 Falkirk Council: European Social Fund employability project, Business Gateway and an INTERREG project on Northern Connections and Kelvin Valley and Falkirk LEADER.